One request I very often get is for a breakfast that doesn't have eggs. I also get asked for more "sweet" morning options that are still Paleo friendly & Whole30 compliant. It's not always as easy as bacon & eggs, but this one sure is! 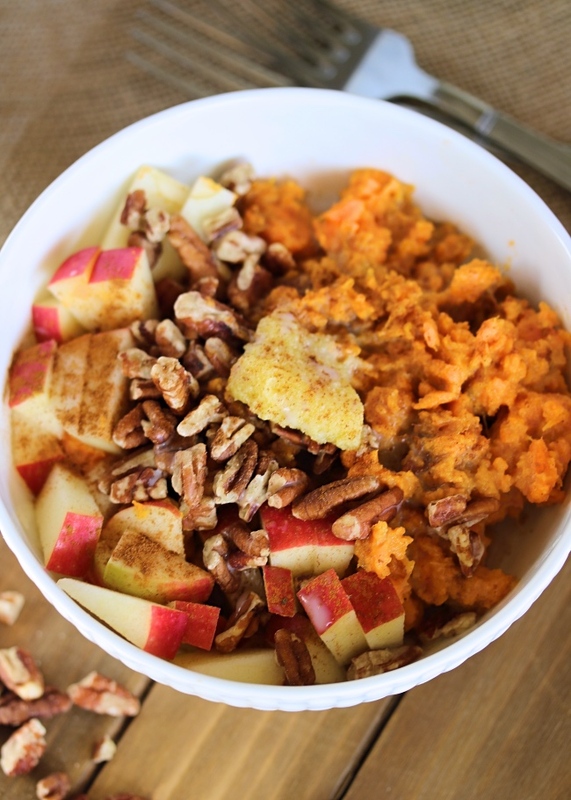 I make the sweet potatoes in the instant pot because it's quick & they turn out so delicious, but you could cook them any way you like. It's all about the toppings here- they're what bring this breakfast bowl together & keep me coming back for more! Greetings, friends- from Maui! Oh, and I'm now a Mrs.! But guess what... still "Jessie B." as I went from Beltramo to Bittner. One "B" last name (Italian) to another (German). We're honeymooning now, but between the fun & the relaxation, I had to check in with you guys here & share a recipe that's been on the docket for awhile now! We have been eating out for every meal here, as you do on vacation, and I'm feeling pretty spoiled not having to cook! 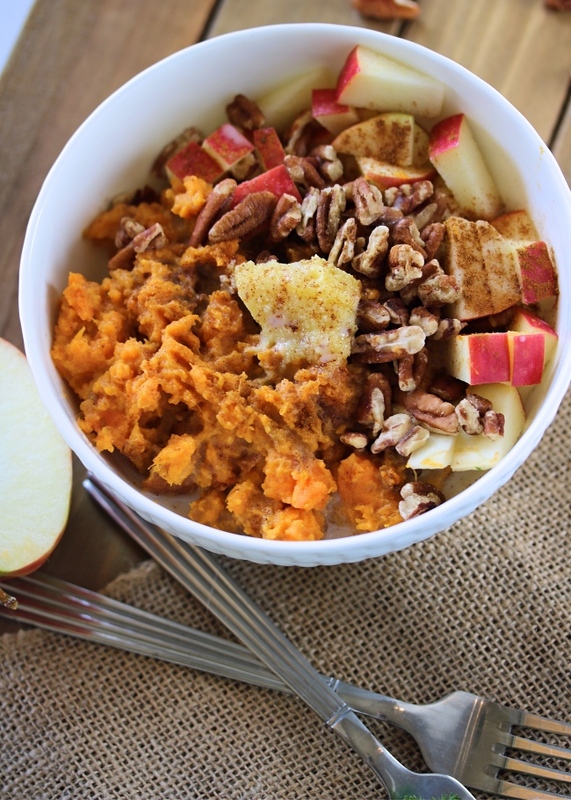 Bowls like this are my favorite for getting that "comfort food fix" without worrying about the ingredients list. This one gives me oatmeal vibes with the apples & cinnamon, but is still fresh and has so much great texture. It's also super nutrient dense and filled with many of my very favorite things, from vanilla ghee to coconut milk to chopped crisp apples. 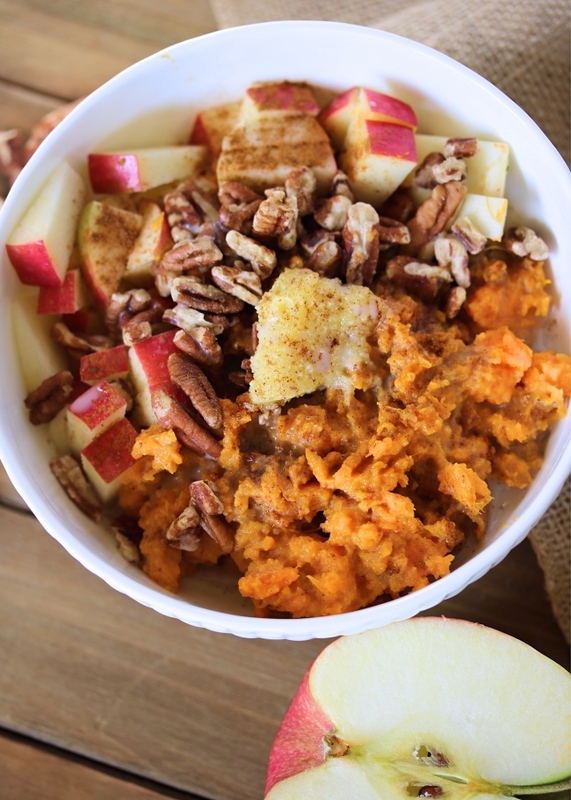 This would make an AWESOME meal prep bowl that you could reheat throughout the week, or eat chilled. Super easy, so much warm yummy flavor, and enough food to fill you right up through your next meal! Also- don't forget that there is a savory version of this bowl with sausage gravy that you must try! Find the link to it HERE. Can't wait to share more about our trip with you soon, and wedding details too! It's all to come- once I get home and once our pictures are here! In the meantime, follow along with me on my Instagram stories, and feel free to send me a message there or through email if you think of any questions you're hoping I'll cover in upcoming posts! I'm always up for recipe requests too- can never have enough! Hope you're happy & healthy wherever you are- oh, and hungry! Enjoy! 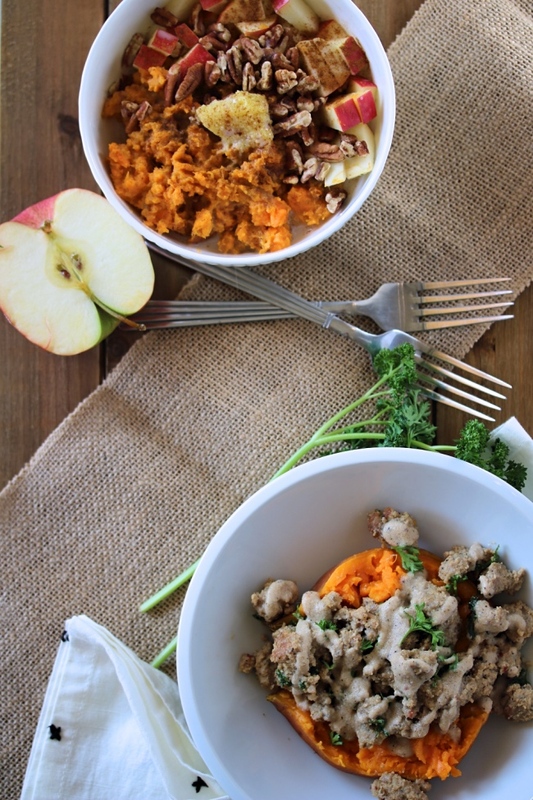 Arrange the four cooked sweet potatoes into separate serving bowls. Slice the potatoes in half, then use a fork to lightly smash the insides. Top each with 1/2 of a diced apple, a small handful of chopped nuts, 1 tsp vanilla ghee, 1/2 tsp cinnamon, and 1/4 tsp nutmeg. Pour a splash of coconut or almond milk over top. That's all- enjoy hot or cold! Feel free to use this as a guide, and add whatever chopped fruits & nuts you like! Shredded coconut, trail mix, sliced banana, and nut butter would be delicious additions too! That is a healthy breakfast. 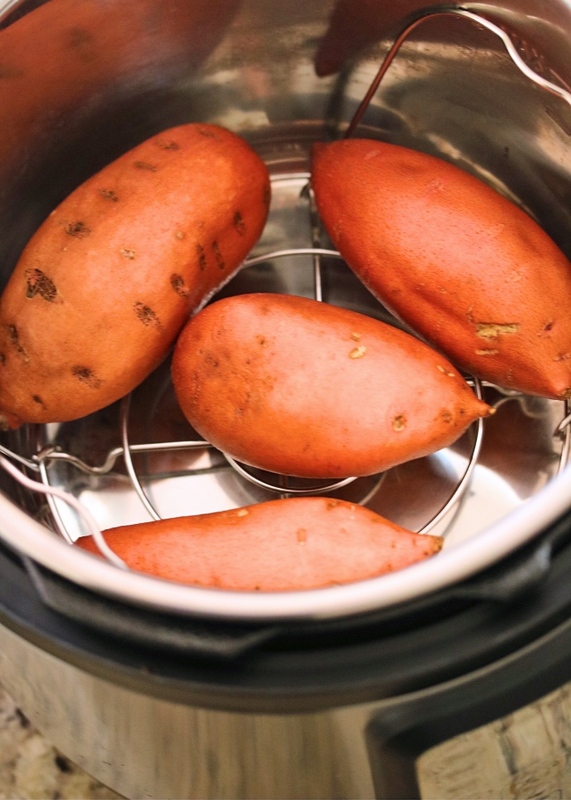 How would you cook the sweet potatoes without an instapot?